"They Are On A Mission For The Lord"
Rev. 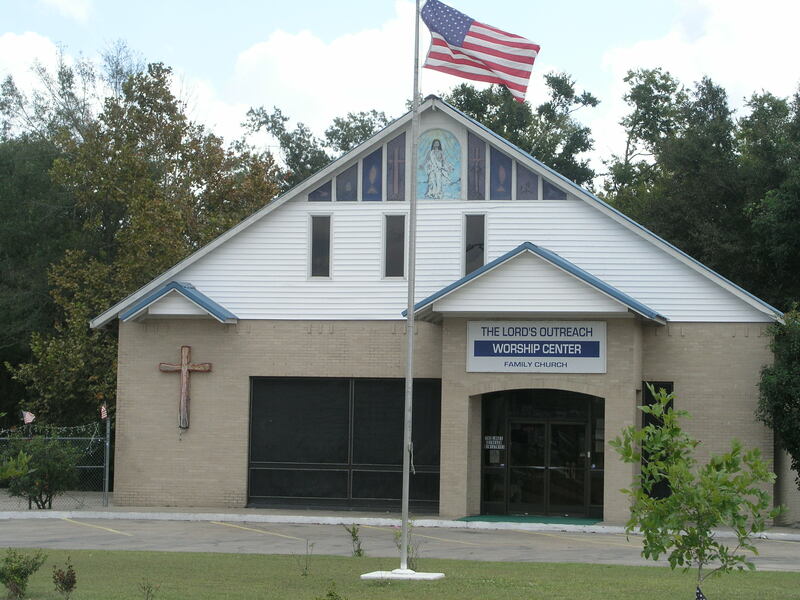 Leona "Clements" Benoit founded the ministry here in Lake Charles, Louisiana in 1987 by feeding homeless citizens on the street corners, and visiting the sick in local nursing homes, and visiting others in prisons and jails. In 1990, Rev. Leona "Clements" Benoit founded the first Shelter for Homeless Women and Children called: (The Potter's House). In 1992, she founded the first Shelter for Homeless Men called: (The Lord's Place). In December of 2000, Rev. Leona "Clements" Benoit founded the first Shelter for Homeless Children called: (The Wilderness Children's Home), which is currently being used as a Group Home for the Homeless. In addition to these three ministries, in 1989 Rev. Leona "Clements" Benoit, also founded The Lord's Outreach Worship Center located in Lake Charles, Louisiana. This Annointed Place of Worship is located at the junctions of Martin Luther King Hwy. and La. Hwy 90. Approximately thirty (30) miles from the Gulf of Mexico, and thirty (30) miles from the Louisiana/Texas border. Rev. 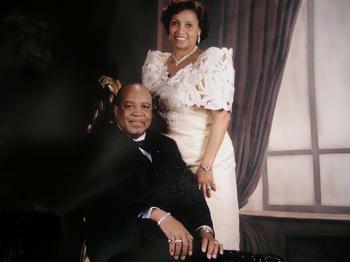 Leona "Clements" Benoit is joined in this Ministry by her loving and supportive husband, Dr. Russell J. Benoit. Dr. Benoit is the Senior Pastor of the Lord's Outreach Worship Center. NOW, IS THE TIME TO PRAY! (1) MOST AMERICANS HAVE ELECTED OUR PRESIDENT: WE NEED TO PRAY TO INSURE THAT GOD'S PERFECT WILL, WILL BE DONE Through Him. President Donald J. Trump will need our prayers during Rest of his term in office. (3) CLIMATE CHANGE IS INDEED A FACTOR: This year we are already seeing Catastrophic Weather Events Like: The Flooding of All of Houston and South Texas, Flooding in Baton Rouge, La. Hurricane Harvey, Irma and Jose and Possible Mahy More to come. My Friends this is happening because of the Climate. We Need to Pray for our Neighbors in Texas, Louisiana, Florida, Bahama and the Carribeans Islands. They Need Help. (4) Our Country's Morality Has Taken A Turn For The Worst: First of all, The Supreme Court Is Not God! The LGBT Community may have won a victory in the Courts, but with God It is a Moral Disgrace. Now Everything is in the Open. The Only Reasonable Thing That We Christians Can Do Now Is Pray, or This Evil and Wickeness Will Fall on Us and Our Children. THE CHRISTIAN CHURCH HAS BEEN SLEEPING FOR TOO LONG. ITS TIME TO WAKE UP CHURCH. We Need to Pray America! (5) The Fish (Souls) Are Biting. We Need To Prepare To Catch The Souls In 2018-19: Let us give Thanks and Praise To Our Lord Jesus Christ, for Giving His Life Freely on the Cross so that we all can enjoy both the Spiritual and the Natural freedom that we so enjoy in this country. As always, we are commanded to pray for our leaders and the people that is in charge, especially for our Clergy and our Troops that is stationed all over the world. Let us not stop praying, our country is going through some serious change, they need our prayers and support more now that ever before. Remember God Is Watching Us! Our Church Is The Gateway To Lake Charles, La. "WE BELIEVE THAT THE CHURCH OF JESUS CHRIST WILL PROSPER THIS YEAR"
:WANT TO HELP OUR MINISTRY: Consider Adding Our Ministry to Your Estate Planning or Will. Your Contributions Will be a Great Blessing to Our Homeless People..
P.O. Box 16274, 401 S. M.L.K. Hwy. Southwest Louisiana or Southeast Texas.